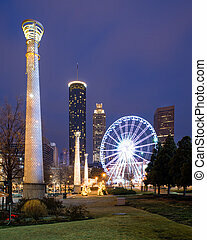 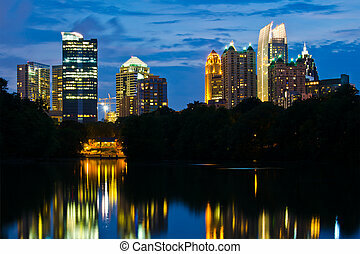 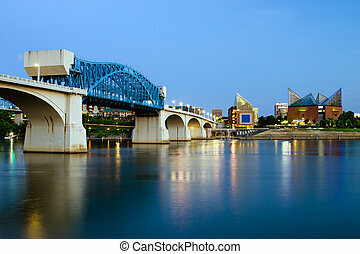 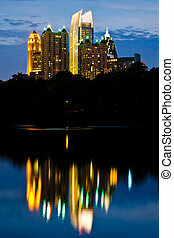 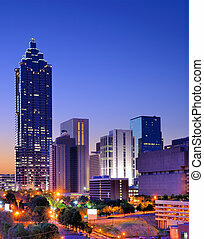 Atlanta downtown skyline during twilight blue hour. 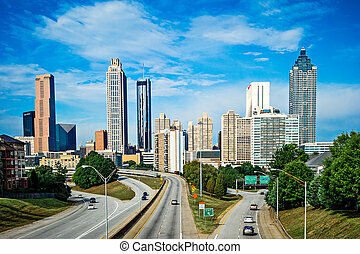 Skyline of downtown atlanta, georgia. 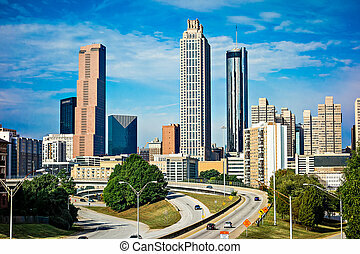 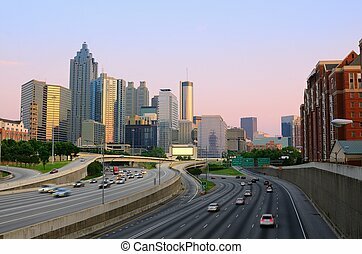 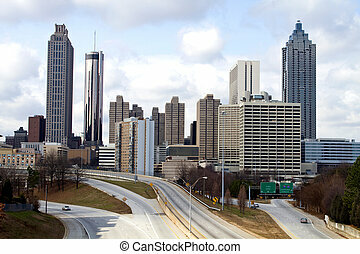 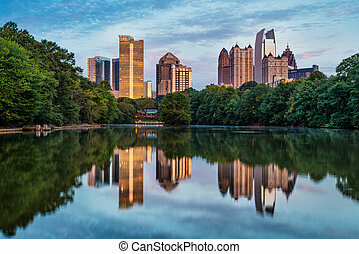 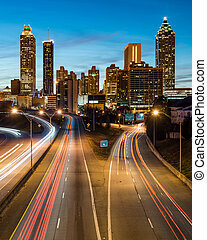 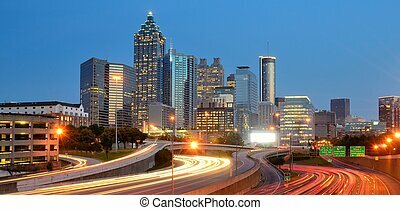 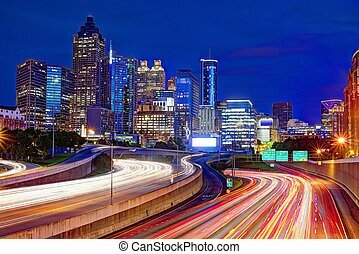 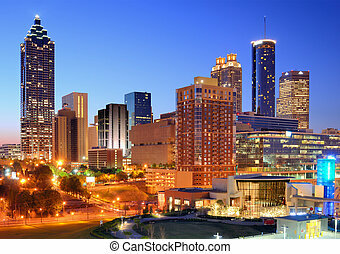 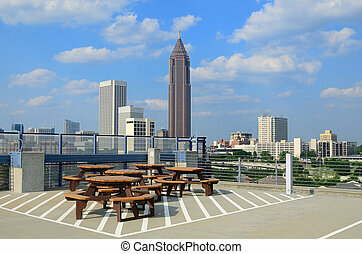 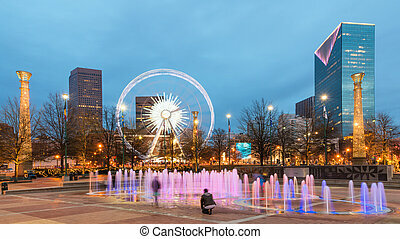 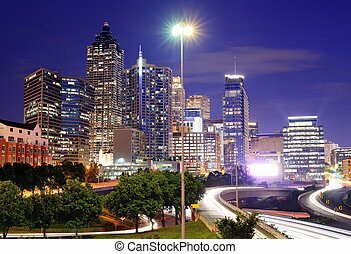 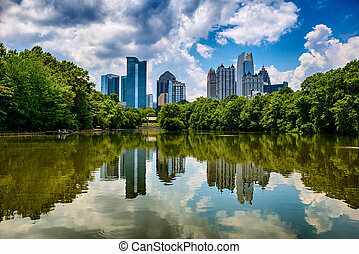 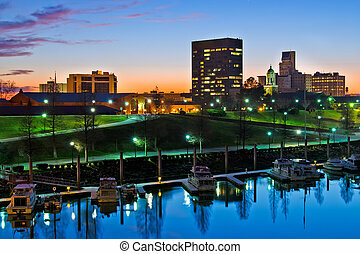 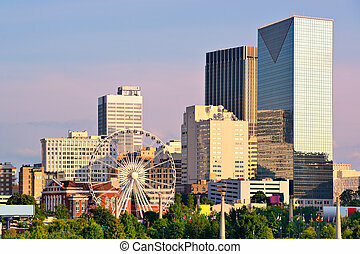 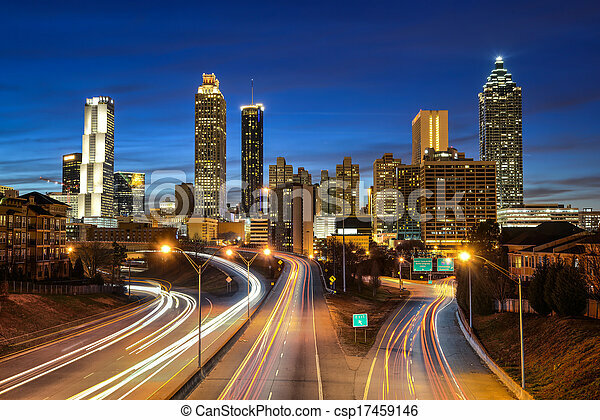 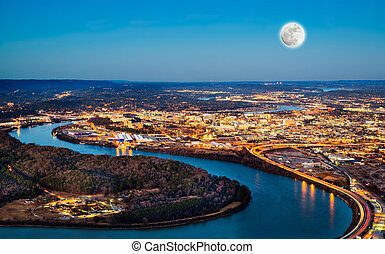 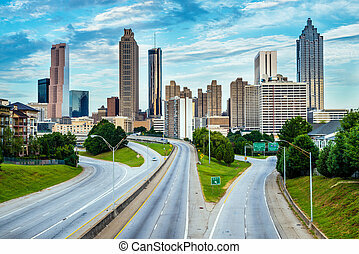 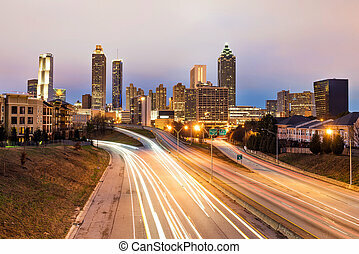 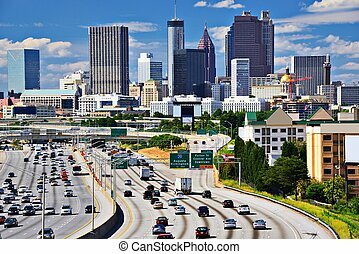 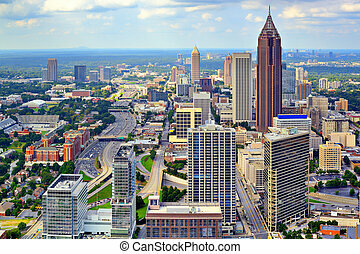 Skyline of downtown Atlanta, Georgia, USA with streets leading to the city.